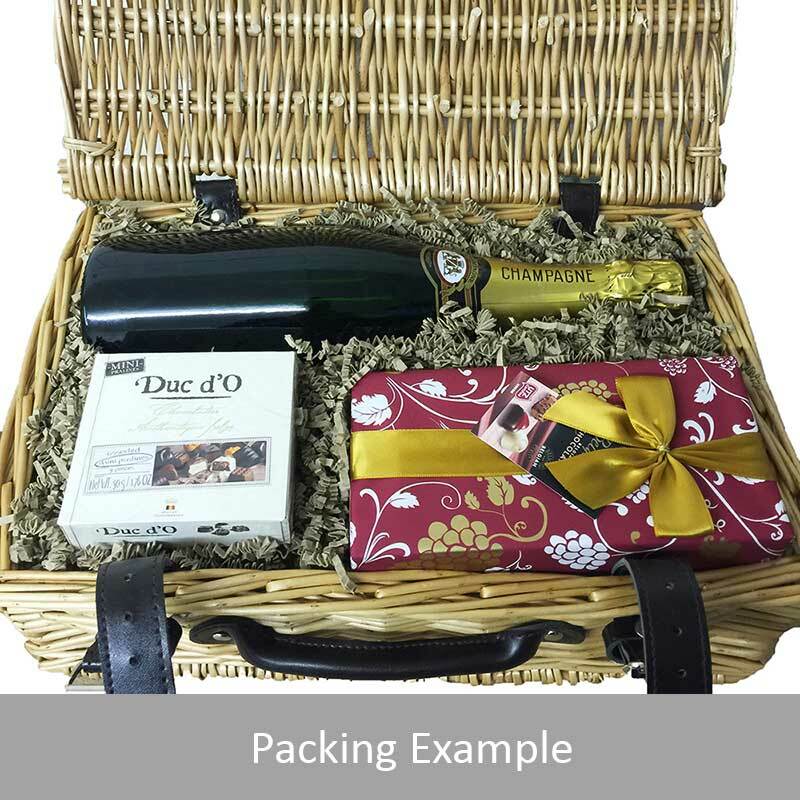 A delightful gift of Dom Perignon Cuvee Prestige 2009 along with a box of Hamlet Belgian Chocolate Truffles (35g) and Belgid'Or Fine Belgin Chocolates (175g) all packed in a wicker hamper with leather straps lined with wood wool. All gifts come with a gift card with a message of your choice. Dom Perignon Cuvee Prestige 2009 Champagne Bottle - Dom Perignon Gift Box DOM PERIGNON CUVEE PRESTIGE 2009 Vintages of Dom Perignon follow one after the other. To a certain extent they resemble each other in part because of their legendary bottle yet each is different due to the particular circumstances of the growing season and harvest. Eight years! Like all Dom Perignon Blanc of first Plenitude the 2009 vintage released in 2017 has matured in the cellars in Epernay for seven years to express its richness and depth. If we were limited to just two words to describe its mysterious magnetism they would be seamless and sensual. Seamless with no rupture no disconnect reconnect from the first sensation to the last just an uninterrupted creamy flow the caressing smoothness of satin that seems to go on forever. Sensual because of its intense sophisticated sensuality both incredibly tactile and incredibly enigmatic. A magnificent paradox in the purest creative tradition of Dom Perignon. As Richard Geoffroy says 'This vintage has a way of holding the final note Ive never seen before. Its as if it doesnt want to let go. It begins with the magnetism of a coaxing caress and ends in a kind of embrace that captivates you like a long-lasting perfume.' Its surprising strange and magnificent On the nose: The initial notes of fresh almonds and grapefruit gradually lead into cashew nuts and spices complemented by lightly toasted brioche. On the palate: The sensation is one of diving into a wave: a satiny texture curls and unfurls on the palate embracing and caressing it. An instant of weightlessness matter vanishes the finish vibrates and the taste buds are aroused by controlled ardour. The persistence is remarkable with just the slightest undertone of tartness (citrus zest and buds). 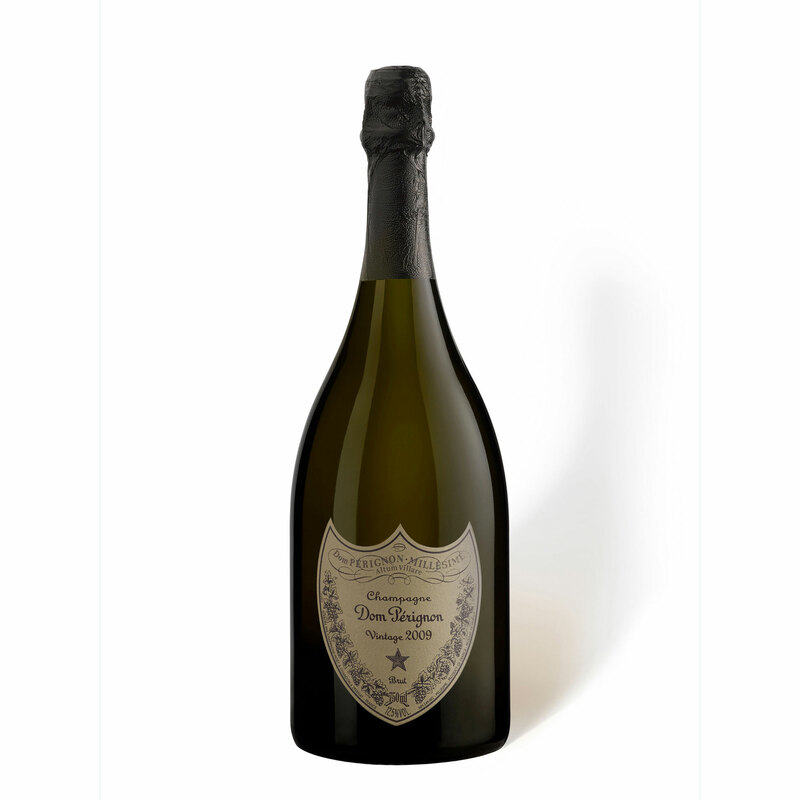 Sending a bottle Dom Perignon Champagne makes any gift special. 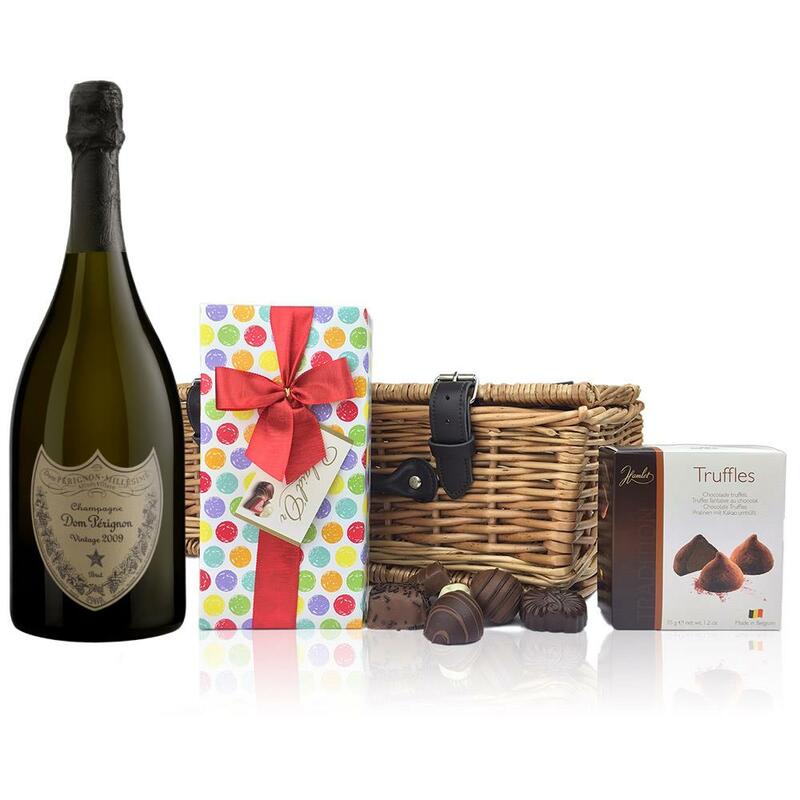 If you want to send more Dom Perignon gifts please see full list below.